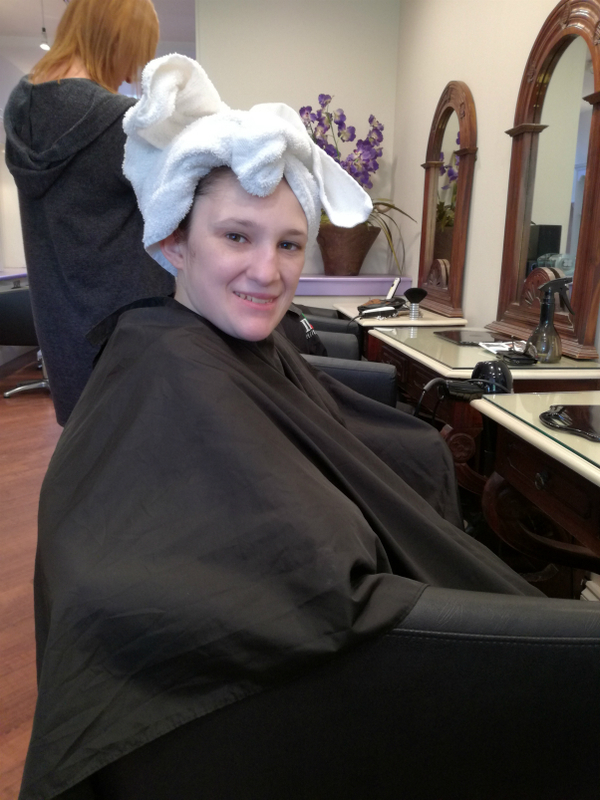 Suzanne's Tribe: Haircuts and Special Needs! We have had many trials and tribulations over the years with getting Ella's hair cut. When she was younger it was interesting. Sometimes I managed to cut it quickly and easily. Other times we had to do it over 2 days chasing her round the garden because she just wouldn't sit still! And as for the time when Jeff and Ella decided highlights were a good idea ....... say no more! Once she became a teenager though we decided to give the stressful job to someone that gets paid for it! And again it's hit and miss. But today she went to a local hairdressers and they were great. 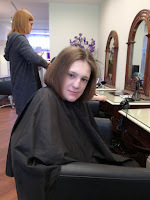 Worked at Ella's pace, but I noticed the hairdresser was cutting twice as fast as she would for another adult. I didn't have a problem with that, as long as Ella walked out with an acceptable haircut. But this time was far more than acceptable - it was great! Well cut, level (not an easy thing to do with a fidget), and makes her look more grown up :) Let's hope the same hairdresser is still there when it next needs attention. We all love to be pampered and feel pretty! 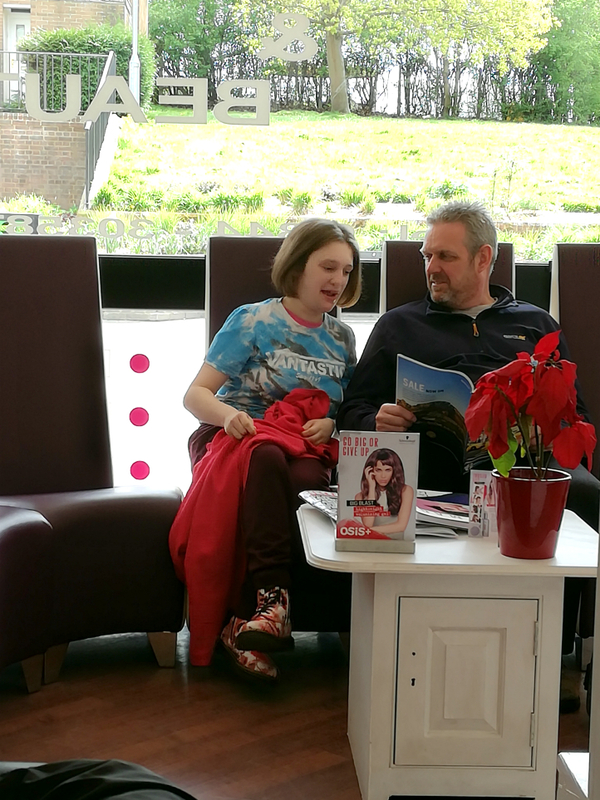 How nice that you found an understanding hairdresser to cut Ella's hair!